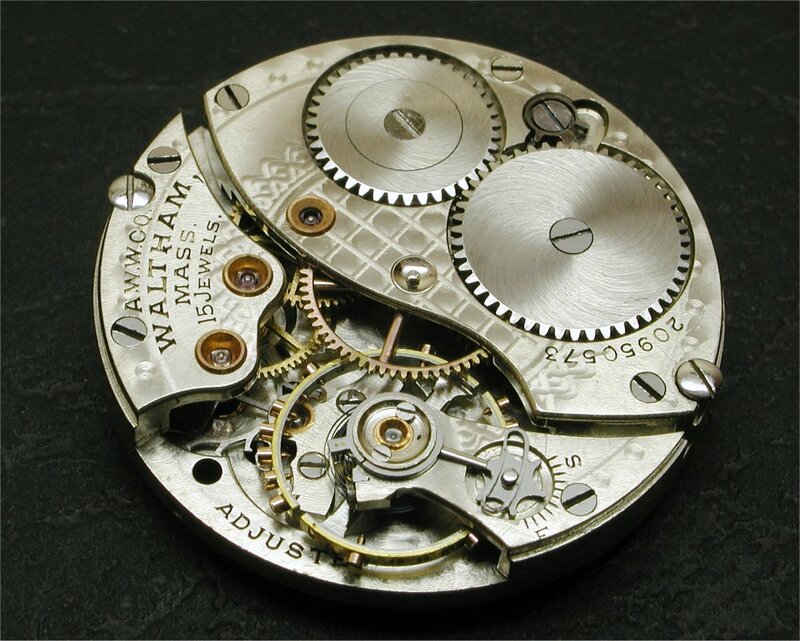 1917 Waltham Model 1907 3/0 size (around 29mm). Late-1990s Zenith cal. 670 Elite, 27 jewel. 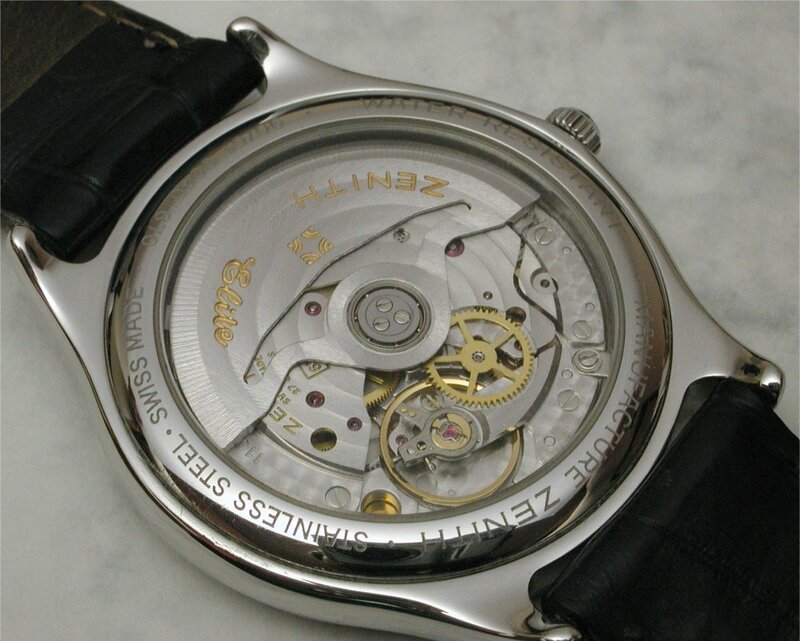 A very nice thin auto movement introduced in 1994. Jaeger LeCoultre cal. 210 16 jewel 8-day baguette inline clock movement. 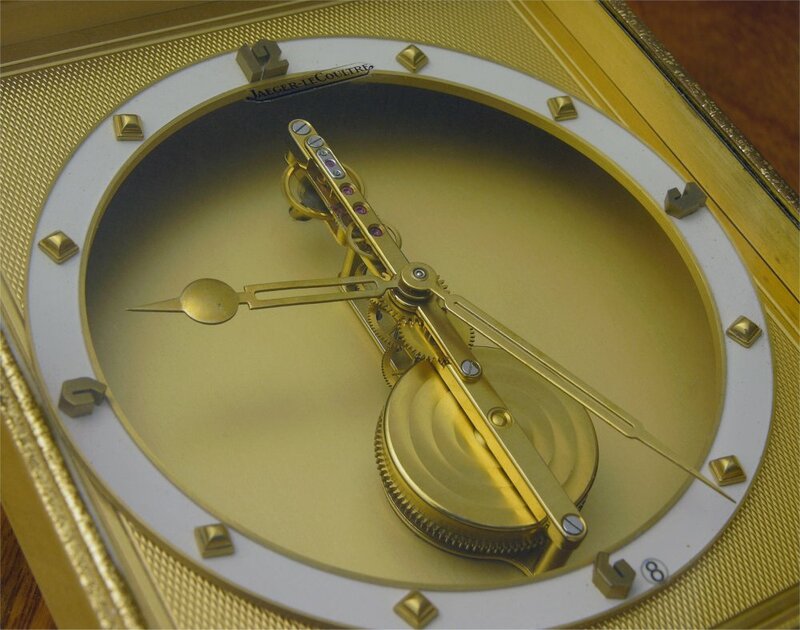 The movement was introduced in the mid-1930s and JLC made good use of it in a wide range of clock designs into the 1990s. 1925 Elgin Grade 479 Streamline. 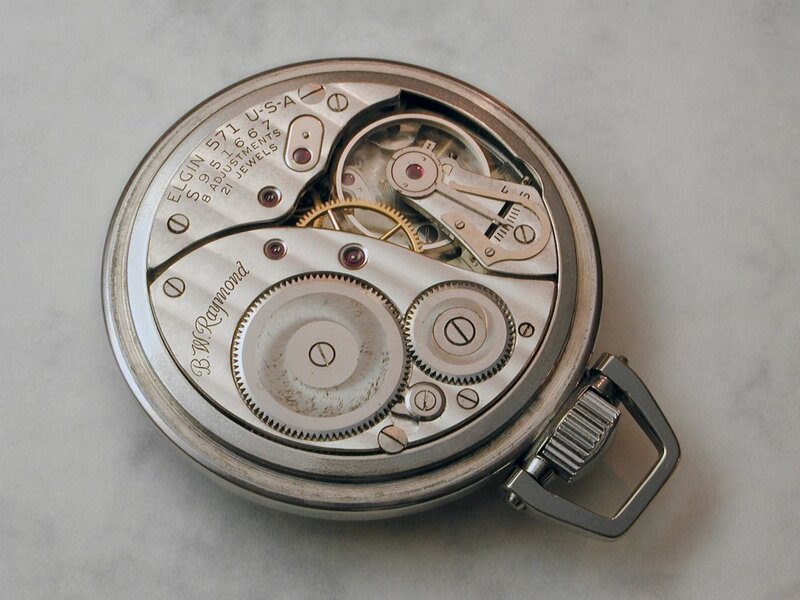 Elgin's Streamline series of 12 size pocket watches used thinner movements than their standard 12 size watches, allowing an overall slimmer profile. They also used larger 14 size dials, the bigger dials and thinner bezels lending the watches a larger and flatter appearance. ETA cal. 2804-2. 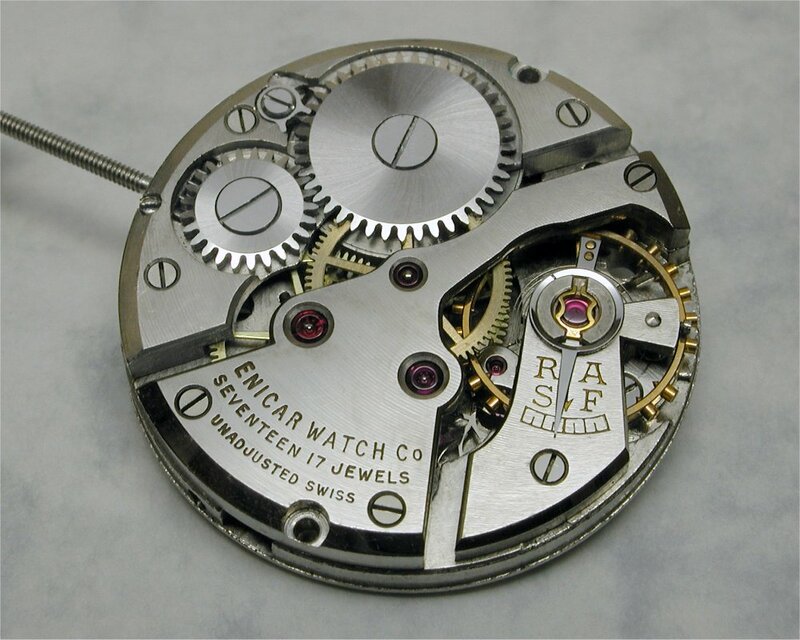 The 2804 is an 11.5 ligne (25.6mm) 17 jewel manual wind movement that has been around for quite some time. It was introduced around 1971 and the -2 version shown here in the early-1980s. 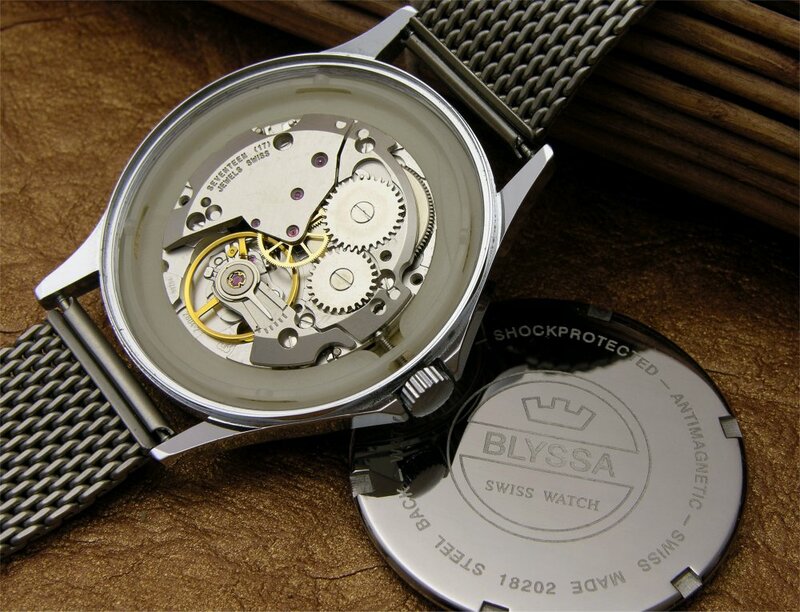 It has provided a relatively inexpensive option for a multitude of watches over that time and I believe the movement is still in production, being shown in ETA's current Mecaline series. 1924 Hamilton Grade 912, 17 jewel. This was the base grade of Hamilton's later series of 12 sizers. A fine movement. Hamilton produced over 260,000 of them. Enicar AR190, 10.5 ligne (around 23mm) 17 jewel. 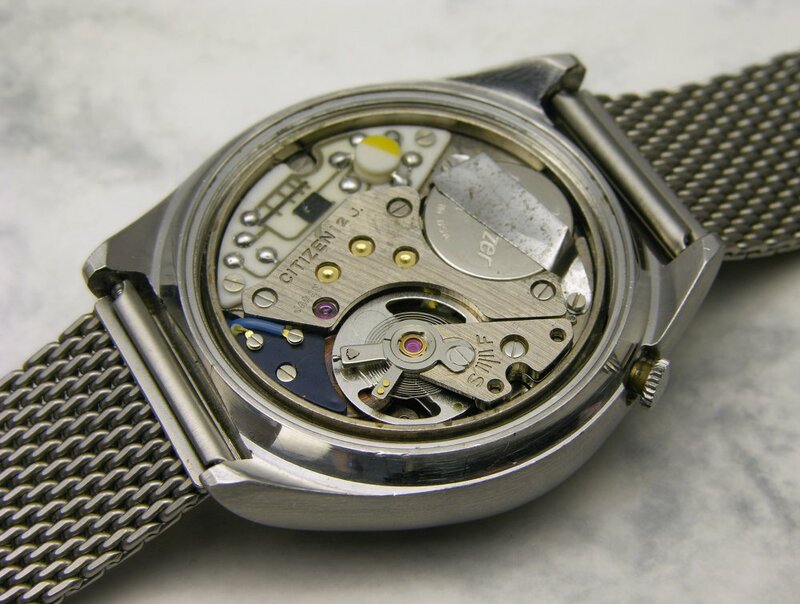 An in-house Enicar movement from the early-1950s. 1937 Elgin Grade 315 Model 3, 15 jewel. 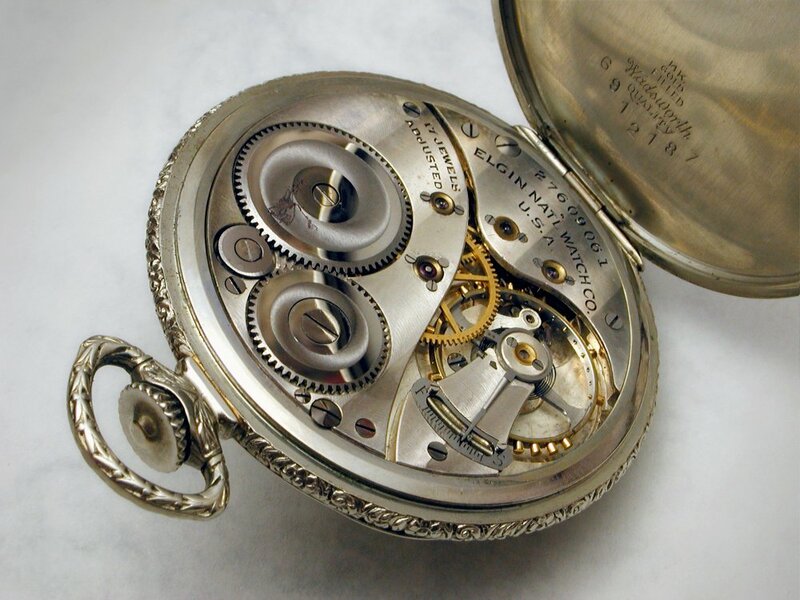 The Grade 315 was one of Elgin's most prolific 12 size mid-grade movements - they produced over one million examples. 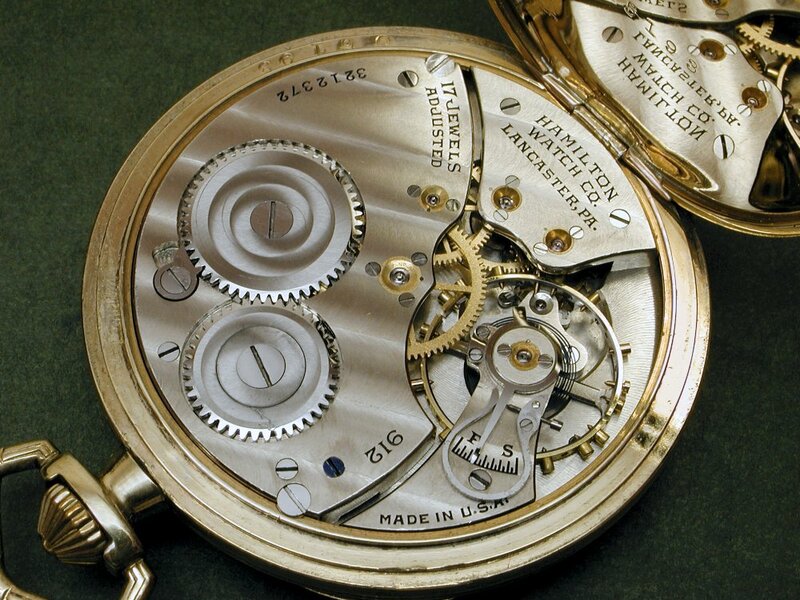 The movement is of good quality with a screwed bi-metallic balance and Breguet hairspring, and Elgin's travelling nut fine regulator. Circa-1970 Citizen X8 Cosmotron, balance wheel electronic. The Citizen X8 series were the first Japanese-produced electronic watches, introduced in 1966. 1951 Elgin Grade 571 B.W. Raymond. 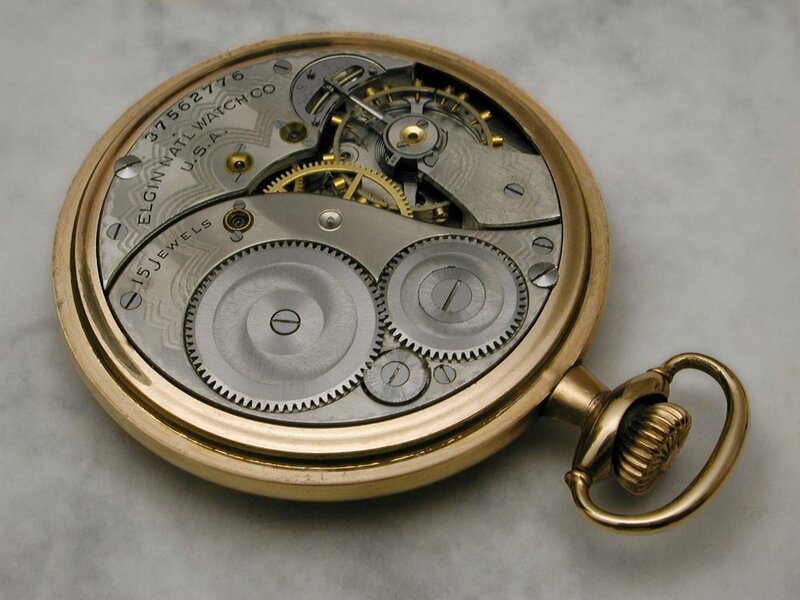 Quite a late production piece - the Grade 571 was a quality Railroad Grade 16 size, 21 jewel movement with 8 adjustments.